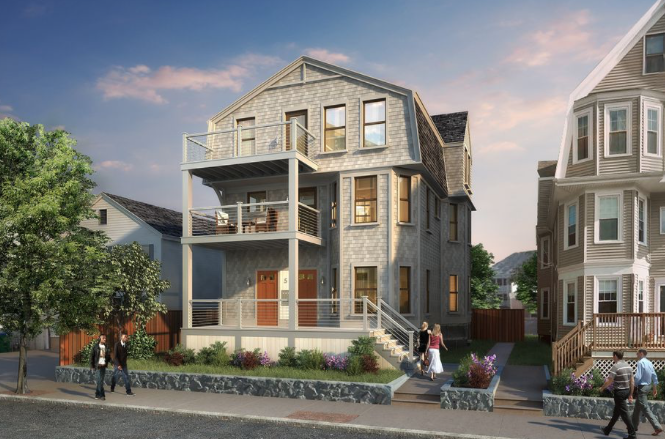 The conversion of a 108-year-old apartment property at 5 Irving Street in Medford is expected to create a trio of three-bedroom, two-bathroom condos by the spring. Each 1,200-square-foot condo is currently retailing for $649,000, or $540 a square foot—a good snapshot of the Medford new-development market right now. But buyers will have the option of customizing each unit, at additional cost, if they go to contract before the units are finished. The condos will also each have in-unit laundry and will share a backyard. Port One Designs, the developer, plans to have the units move-in ready by March 1.